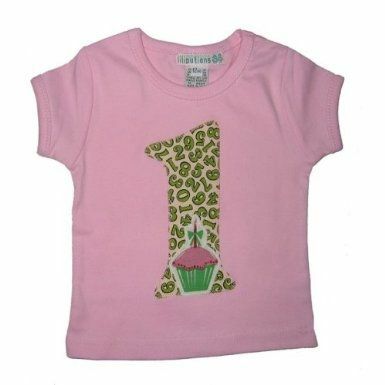 If you like cupcakes, I'm bet you've seen some of the great little girl cupcake-themed clothing that is available. My goal on this page is to bring some of these items together in one spot for you. If you are shopping for a cupcake themed gift for a special little girl, you are bound to find something you like on this page. First, this is a very PINK page. There are a few items available for girls that are not quite so pink and a few things for little boys, but I decided this page really WANTED to be pink. 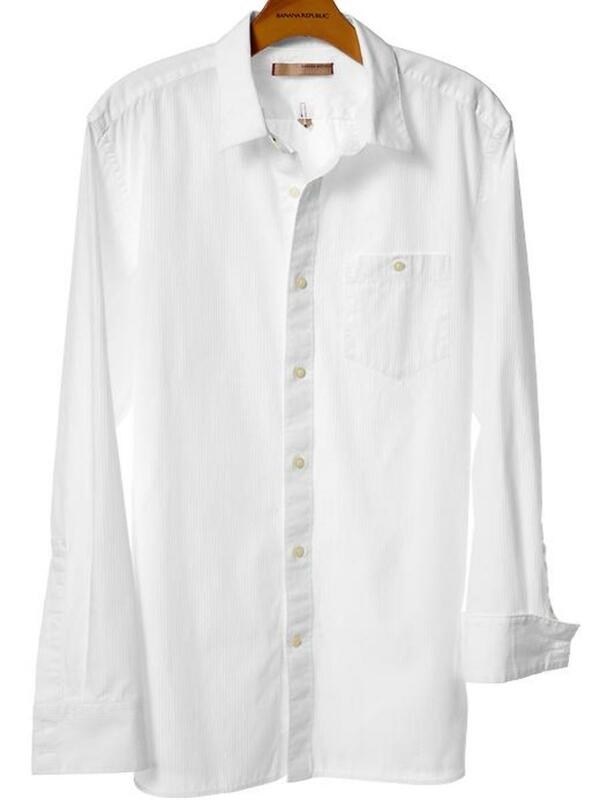 Second, many of the fantastic clothing pieces on this page are not inexpensive. They include name brands like Liliputians, Rare Editions, Molly & Milly and Juicy Couture and sometimes they are even handmade and include extra detailing and special fabric, all of which comes at a price. For more details about any of the items on this page, you can click through to Amazon by either clicking on the picture itself or on the blue text link. Clicking through will not put you at any obligation to buy but will make more information available about each item. If you are searching for an extra-special little girls cupcake gift, you are sure to find it on this page! "You can be sure of cupcakes!" 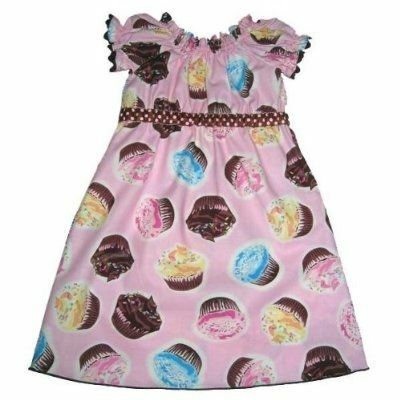 Bonnie Baby Baby Girl dress features an appliqued cupcake on the chest, an all-over cupcake print on the skirt and a waist that reads, "Happy Birthday." This dress is available for baby only, in sizes up to 24 months. 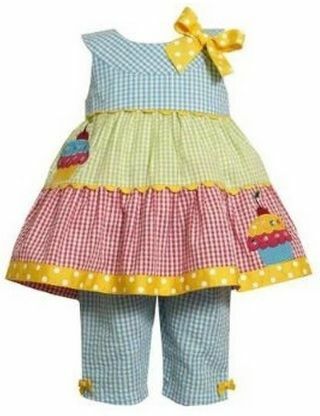 If you think your daughter would rather have an outfit than a dress, you might consider this seersucker Bonnie Jean cupcake outfit, which is available in sizes 12 months through to 6X. She can have her cupcakes & wear them, too! These amazing shirts are handmade to order in New York City with the number appliqud onto the shirt. They are made of machine washable and dryable cotton. The short sleeve version is currently available for birthday years one through five. The long sleeve version is also available for years one through five. Lilliputians skirts, like the t-shirts, are also handmade, with love, in NYC. They feature a ruffled flirty style and are made from 100 percent cotton that is comfortable and play-friendly. Available in sizes 6 months through 8. What a yummy birthday dress! This one is made from fun fabric featuring multi-colored cupcakes on a pink background with a ribbon accent at the empire rice, ric rac trim, ruffled sleeves, sweetheart neckline. Handmade in the U.S.A. 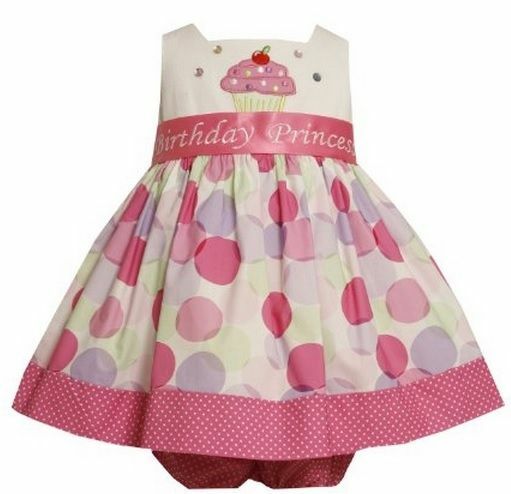 This dress is one of two Liliputian cupcake dresses and is available in sizes 2T through 6X. Liliputians jeans are handmade with love in the U.S.A. 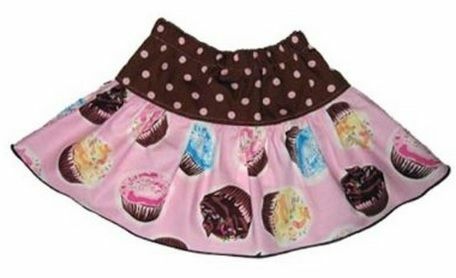 They feature bell bottoms with cupcake inserts on the sides, cupcake appliques on the knees and bum and a reversible polka dot ribbon belt. They're too cute! Available in sizes 6 months to 8. If it is a dress you are after, your daughter will love this classic a-line style dress with a fitted empire waist. Handmade with cotton fabric and synthetic trims. It is fun and also available in sizes 6 months to 8! Click here to see Amazon's complete collection of Liliputians birthday and cupcake themed pieces. "When the going gets tough, the tough get cupcakes!" Your Baby Girl Will Be Sweet As Can Be In One Of These Cute Infant or Baby Cupcake Bodysuits! Featuring six cupcake themed pieces, any baby girl will look “sweet” in this ensemble, which includes a bib, cap, one-piece bodysuit, sleeper, receiving blanket and hanger. So sweet! Mud Pie has a whole line of cupcake themed baby clothing items! This two-piece outfit is pretty and practical and perfect for that all important first birthday but don't miss their complete collection of frilly and girlie cupcake themed items! If you're looking for a Disney themed dress for your little princess, have you considered a nightgown? They'll do double duty as a dress-up costume and as pajamas. Disney's Frozen dresses...what's the story? Can you buy one? Why're they so darn expensive? A collection of dresses that are perfect for little girls during the spring and summer. WHICH IS BETTER A CUPCAKE OR A COOKIE? Crazy About Cupcakes? Tie on a Cupcake Apron! If You Give A Cat A Cupcake is the 2008 If You Give A... series book written by Laura Numeroff and illustrated by Felicia Bond. If you loved the first book, called If You Give A Mouse A Cookie, you're going to love the zany adventures in If You Give. "Life is Uncertain...Eat Dessert First!" Are cupcakes your cup of tea? How DARLING.. so sweet first pink and then cupcakes? Ya can't miss on cuteness. Angel blessed. These are so cute! They'd be adorable on any little girl. Love the way you have of making the images look so nice - really good lens! Hi,I'm 5 moths pregnant with my second child and I'm hoping, no... I'm praying for a girl. I'll be getting an ultrasound tomorrow, to fins out. 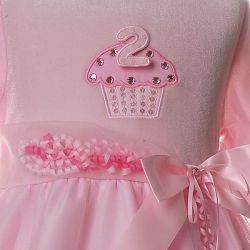 If the baby turns out to be a girl, I'm buying these cupcake dresses in every color!!! Oh my goodness! I almost bought one of everything for my nieces! So cute! Thanks for sharing. These are just darling. Love the little skirt (the first one) best. Nice lens. Never had a cupcake and won't like to have one. Beautiful - we have our first granddaughter, so I'll have to check out all your lenses. Great selection. Love the way you laid out this lens. Great job. Very nice selection and well displayed!I've lensrolled it to Cupcake Designs to Wear. What a FUN lens! Love the birthday outfits...so cute! So cute! The cupcake jeans are my favorite of all ! This reminds me of how much fun I had dressing my little girl! Very cute and "sweet"..! These are all adorable and they would be perfect for the birthday girl! Absolutely adorable! The cupcake jeans are just too cute! So cute! I used to make things like this with applique designs. Maybe I'll get a sewing room again someday. Delightful lens. Two of my favorite things -- pink and cupcakes! Lensrolled to Cupcake Cool . The cloths absolutely take the cake. This is such a sweet lens! These are so cute. I love the Jeans. Lensrolled to my cupcake baby lens. These are amazingly adorable! Love the new Cupcake Club header, too! After raising two boys, I finally have a special little girl in my life and I can't wait to buy her some of this stuff! :) featured on the women and girls shopping group. I've got a little "cupcake" that would look adorable in some of these cute little clothes! Spreading my cupcake stained Angel Wings for a blessing. Oh those little sleeveless, full skirted summer dresses...so adorable! Oh, my goodness, this is TOO cute! Wish I had a little girl to dress. I love pink (and I love cupcakes)! Lensrolling this one to my Think Pink lens for sure! I haven't got a sweet tooth unfortunately but just want to say I have a lot to learn about lensmaking. I love this lens and I love the adorable cup cake clothing. Well done!